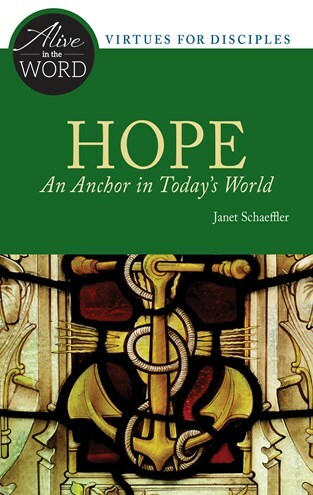 One of the great theological virtues, hope is a sign of our trust in God, the foundation for making our way through difficulties, and an invitation to witness to God's care in our lives. A psalm, a Pauline passage, and a gospel passage allow us to explore this virtue of which our world is in such need. Janet Schaeffler, OP, is the former director of Adult Faith Formation for the Archdiocese of Detroit. She is the author of several books, including The Creed: A Catechist's Guide. She is also the facilitator of online courses and a leader of days of reflection, retreats, parish missions, and workshops. She is a past recipient of the Distinguished Service Award in Catechetics from the National Conference of Catechetical Leadership and has been named among those who have made a significant contribution to the field of Christian religious education in the North American context by the "Christian Educators of the 20th Century Project," Talbot School of Theology, Biola University in La Mirada, CA.